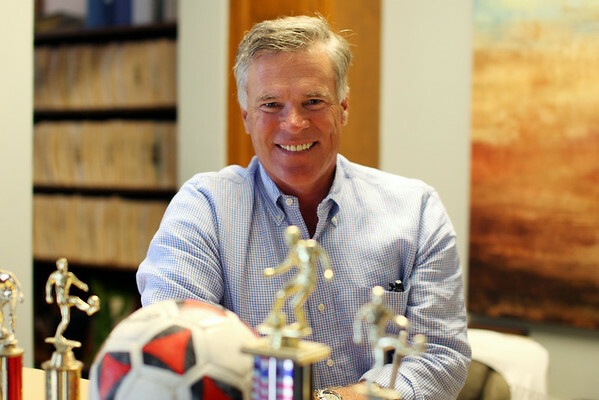 Dr. Dennis O'Connor, local Marblehead Chiropractor, formerly played and won a NCAA Championship with the UCONN Men's Soccer team. O'Connor took some time out of his day on Monday to talk about his playing experiences, the World Cup, and the popularity of soccer in the United States. DAVID LE/Staff photo. 6/30/14.